Welder Red Seal Preparation Course This course is designed to prepare an individual who has gone through the apprenticeship schooling but has not yet written the red... Effective March 1, 2017, all apprentices and individuals going through the Trade Equivalency Assessment are required to complete a welder practical assessment prior to the written examination. Upon successful completion of both the practical assessment and the written examination, a Certificate of Qualification with a Red Seal Endorsement (RSE) will be issued. The Welder apprenticeship consists of 5,280 hours of on-the-job training. Apprentices must also complete one 10-week, one 6-week, and one 8-week in-class technical training session. Optional Endorsement: The MPAW Endorsement enables a welder to weld specialised alloys, by any manual welding process, in any position, and such other work as is usually done by a Red Seal Certified Welder. 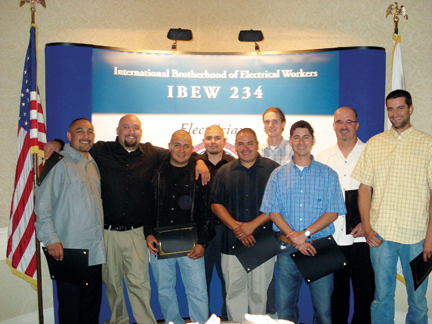 Ontario construction workers who have a Provincial or Interprovincial [IP] (Red Seal) Certificate of Qualification from the Ministry of Training, Colleges and Universities, (MTCU) in any Ontario compulsory or voluntary trade recognized in the 2006 Ontario-Quebec Construction Labour Mobility Agreement may work in Quebec with or without an Ontario employer.